John Speraw started as a CIF Champion and classroom honor student at Arcadia HS. He then attended UCLA where he was a two-time NCAA champion in 1993 and 1995 and was an NCAA All-Tournament selection for the 1995 team. 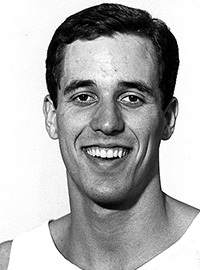 He won a NCAA title as Bruin Assistant Coach in 2000 and then left to be the Head Coach at UC Irvine. He won first three NCAA VB Titles in UC Irvine school history (2007, 2009, 2012) and then became head coach at UCLA in 2013 succeeding 2017 SCIVBHOF selection Al Scates. He went to NCAA semi- finals in 2016. John has been with USA National Team program since the middle 2000s and was Assistant Coach for USA Gold Medal men’s team in 2008, plus an assistant in 2012 for the 5th place USA team. He then became the USA National Team Men’s Head Coach after the 2012 Olympics. He was Head Coach for the 2014 USA World League title, and the 2015 the FIVB World Cup Title. He coached the 2016 USA Olympic squad to the Olympic Bronze Medal in Rio. He is currently the head coach for the USA Men’s National Team that is trying to qualify for the 2020 Tokyo Olympics while still working as the head coach at UCLA. He is one of only three people in history to ever win NCAA titles as player and head coach (Rod Wilde/Bob Yoder) and the only person to win as a player, assistant coach and head coach.